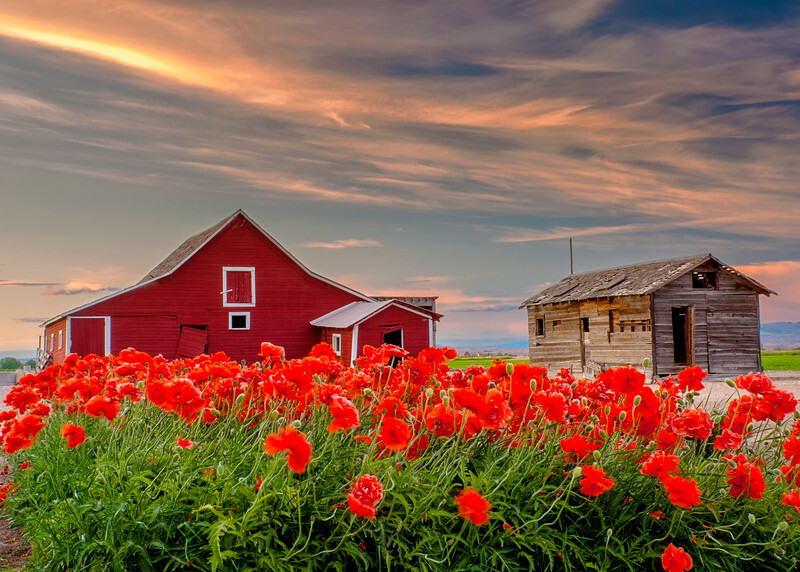 I ran across a barn out near Star Idaho that had a patch of poppies in front of it. As I set up for the shot the setting sun began to paint the sky with color. Before I knew it I was surrounded by many hues of red. Any I have always liked this scene.